The mention of overheated credit markets sends chills up the spine of anyone who lived through the crises in Bosnia, Andhra Pradesh, Morocco, or Nicaragua, where market saturation played a prominent role. While regulators and investors have key responsibilities in avoiding these crises, boards of financial service providers (FSPs) must also steer their organizations carefully when more companies enter the space to compete for the same customers. And since portfolio at risk at 30 days (PAR30) is a lagging indicator in the earlier stages of a credit market cycle—growth and high liquidity mask debt stress for a time—boards have to be more creative about how to understand what is actually happening. 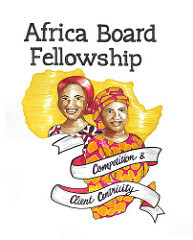 ABF Fellow Olive Kabatalya (left). Copyright Accion. ABF Fellows Vincent Kaheeru (right) With Robert Ongodia, Accion. Copyright Accion. In competitive environments, FSPs face all the risks of rapid growth, including a deterioration of operational controls, without actually growing. As loan officers become more desperate to achieve targets in a competitive space, shortcuts are taken and credit assessment becomes lax. Boards must ensure effective supervision as well as a robust system of checks and balances. “Although growth is what we really want, even as we thirst for growth, we need to be careful that we do not go down with the growth never to be seen again,” said Vincent. For more details, read our complete interviews with Olive and Vincent.